Plastic Systems Shanghai CO. LTD. 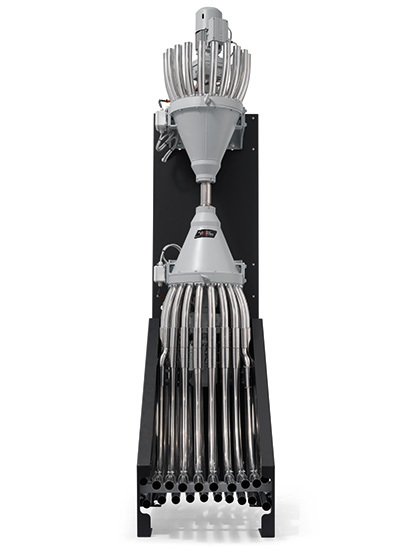 The matrix microprocessor control allows you to create a centralized system for the pneumatic conveyance of granules. The system is flexible and can be expanded. With just one control unit it is possible to manage up to 8 vacuum pumps and 56 receivers. The operation is automatic and it is possible to completely control the storage and sorting of materials as well as the association material - processing machine. The entire system is easy to use: no more waste of polymers. The “MMS” system allows the automatic selection of the conveyance speed depending on the material and distance. • Control with microprocessor for 8 pumps and 56 receivers. • Portable keyboard with digital display. • Also available: version EASY MATRIX with a panel installed in the suction unit for a maximum of 10 receivers. • All the components of the system are connected through a serial line. • ABC automatic exchange of standby blower. • Management of material speed “MMS”. 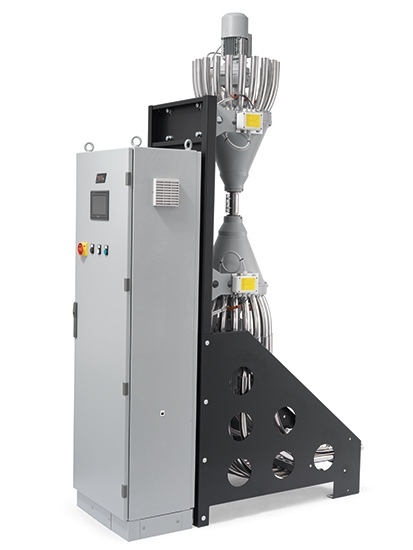 The MMS system that prevents the degradation of the polymer and production of dust. It is possible to create new configurations of storage, production shops and extensions by quickly configuring the logic of the system. Through the control panel, PC, tablet and the receiver. Thanks to a fully integration with vacuum pumps with variable frequency driver.